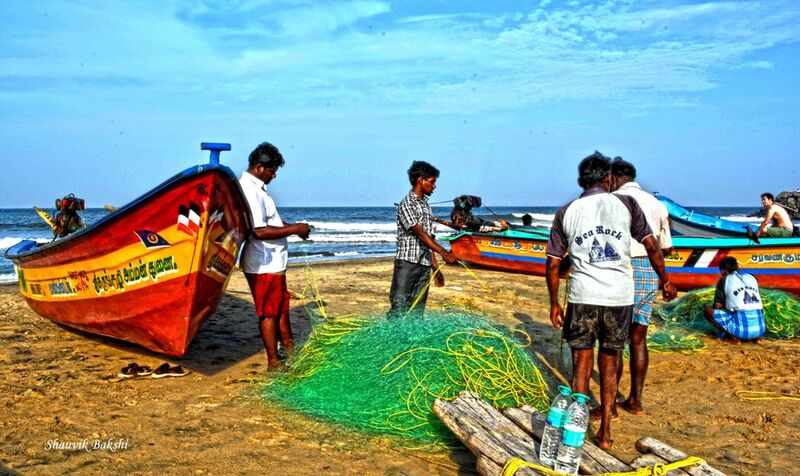 This is the prequel to my thread related to my trip to Pondicherry. We had been planning for such a trip since January and ultimately it happened in the month of August 2014. We had taken an early morning flight from Kolkata which left at 6.30 a.m and reached Chennai on 8.40 a.m.
Then took a cab from Chennai airport for C.M.B.T bus terminus. We were planning to board an a/c bus for Mahablipuram . However found out that the next a/c bus would leave after 3 hours and we might need to wait in terminus that long. Neither of us were keen on doing that so we boarded a normal non a/c bus for Mahablipuram. It was a difficult task as we had big luggage, but with the help of the co passengers we both managed to get a seat. One kind person even made space for us to keep our luggage, even if he had to squeeze himself in another seat. Well I guess that is India again. 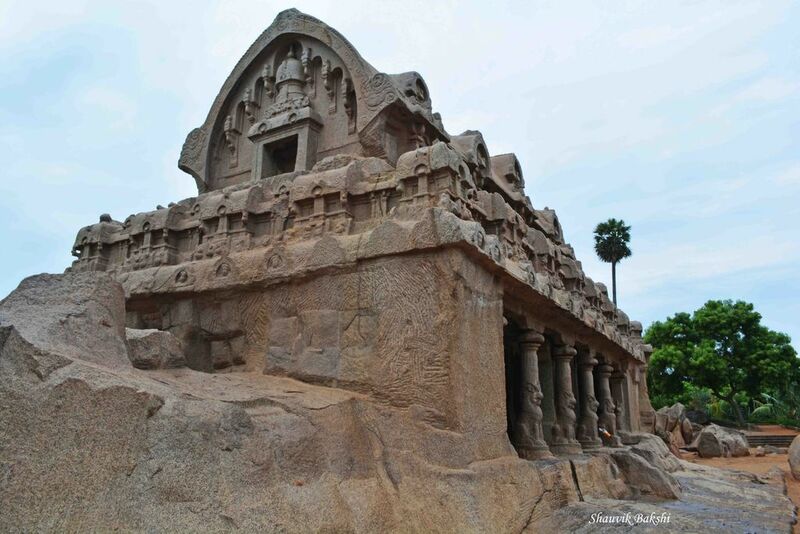 Finally we reached Mahabalipuram at 12 p.m. Luckily our hotel was very near, just 2 minutes walk from the bus terminus. 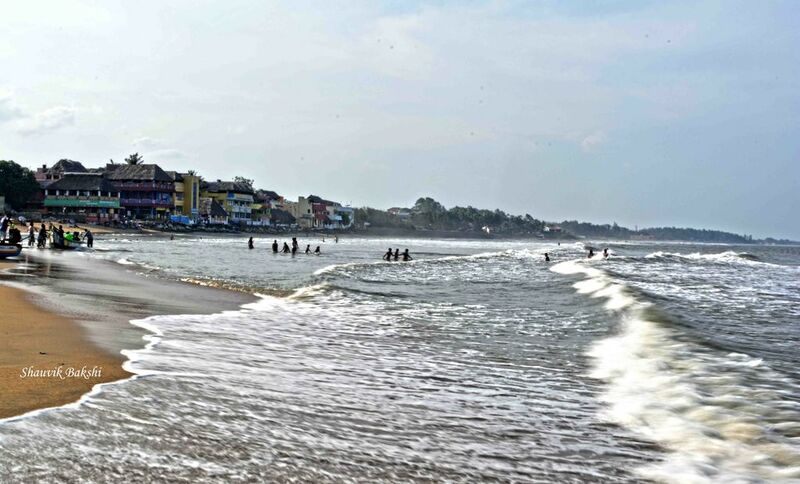 We had planned to visit the shore temple and the beach in the afternoon the same day. The rest of the sites were to be visited the next day. So spoke with an auto driver and he agreed to show us around for Rs. 300/-. Somehow liked talking to the person, and asked him to be there at the hotel in 8 a.m. the next day. He even offered to drop us at the hotel for free. Checked in to our hotel and had lunch after freshening up. Pool In Our Hotel. A Favorite Spot. 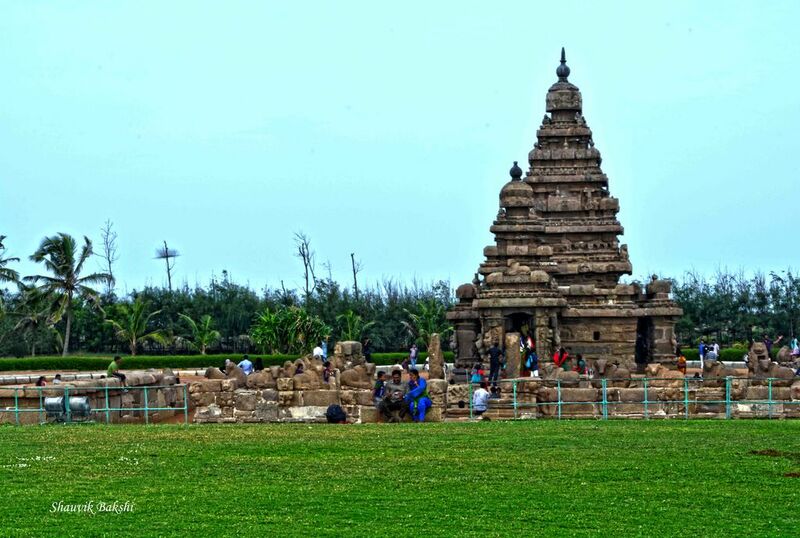 It was time to visit the Shore Temple. 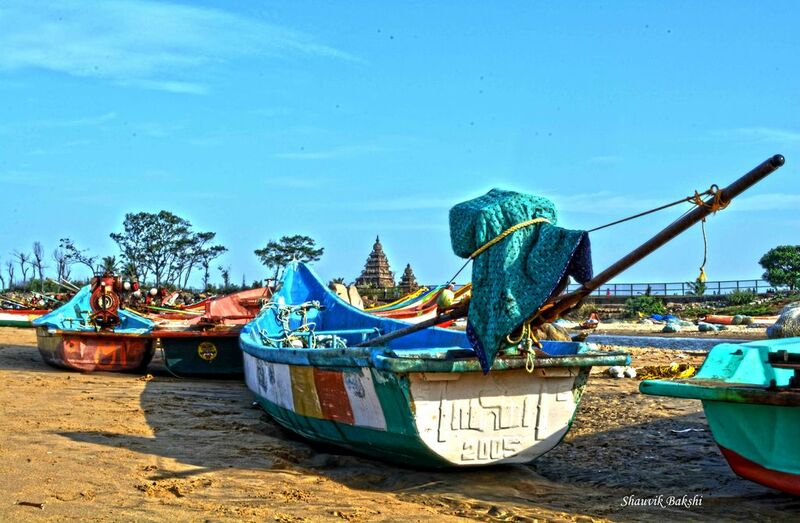 The Shore Temple (built in 700–728 AD) is so named because it overlooks the shore of the Bay of Bengal. 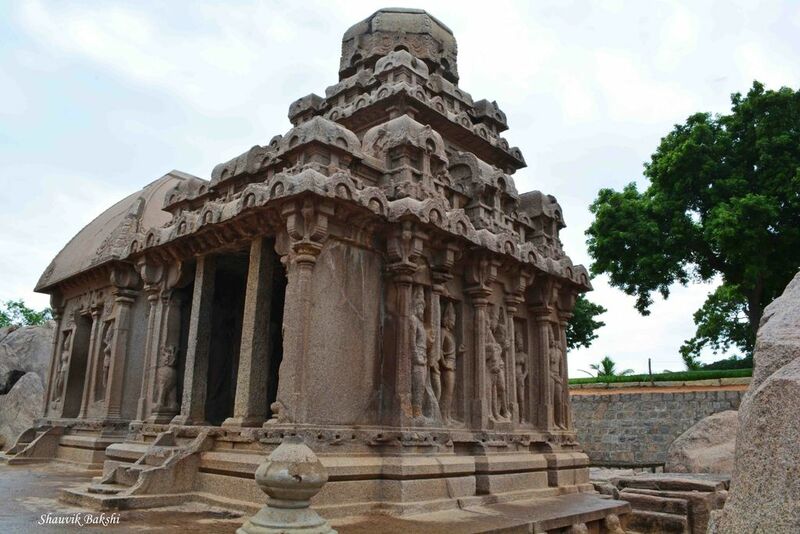 It is a structural temple, built with blocks of granite, dating from the 8th century AD. 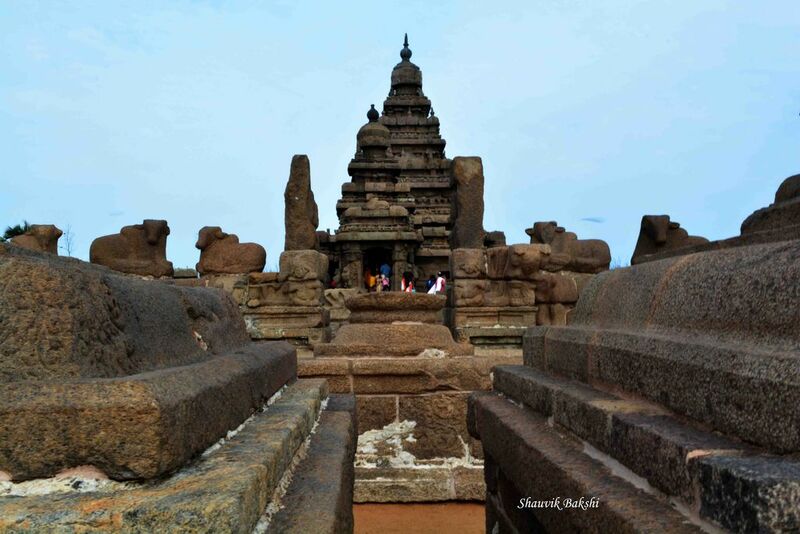 The main credit for the architectural elegance of the Shore Temple complex in the category of structural temples goes to the King Rajasimha (700–28 AD), also known as Narasimhavarman II, of the Pallava Dynasty. The Shoe And The Leg. 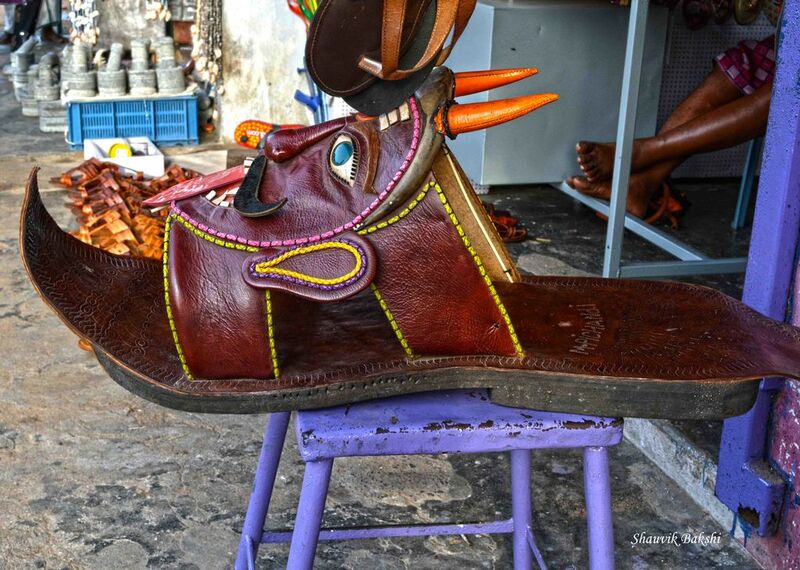 An Over-sized Shoe Displayed At A Store. 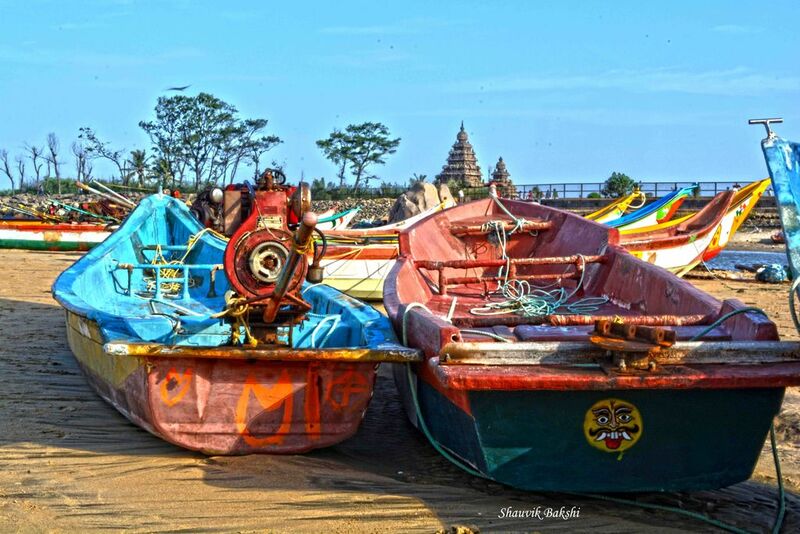 In the evening went out to explore the Mahabalipuram town. 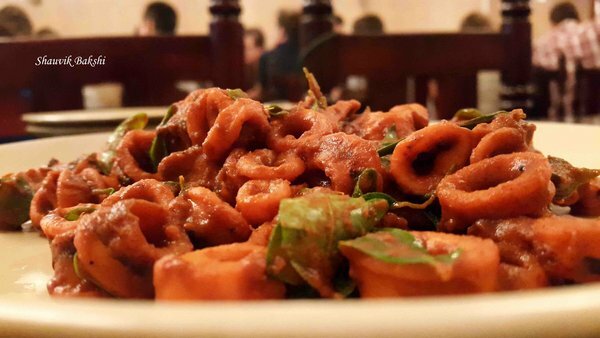 Being a foodie I soon found myself sitting and having Calamari with chilled beer. 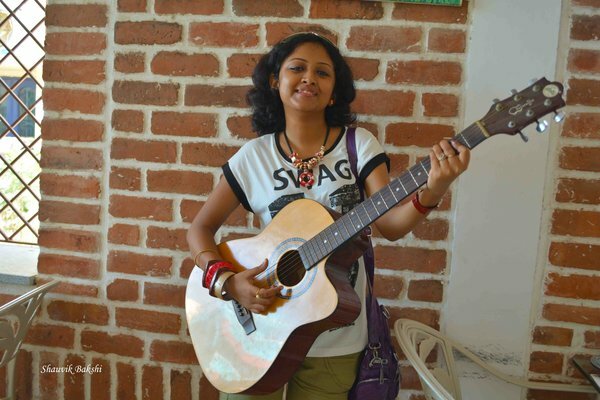 The evening was wonderful with the chit chat of guests and music being played from various restaurants. It rained a bit and the temperate also dropped a few degrees and it was overall a wonderful experience. Retired back to our room and called it a day after dinner. Life is all about perspective. The sinking of the Titanic was a miracle to the lobsters in the ship's kitchen. 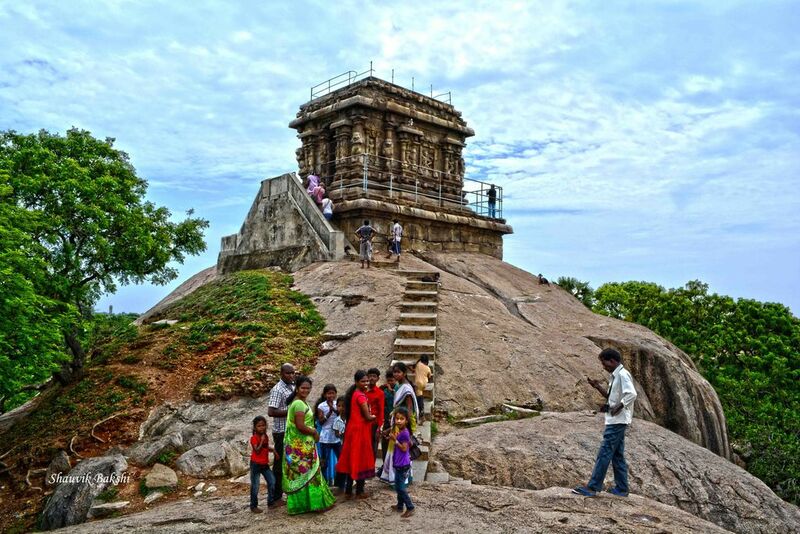 As per plan our day for site scene started at 8 a.m. First went to the Pancha Rathas. 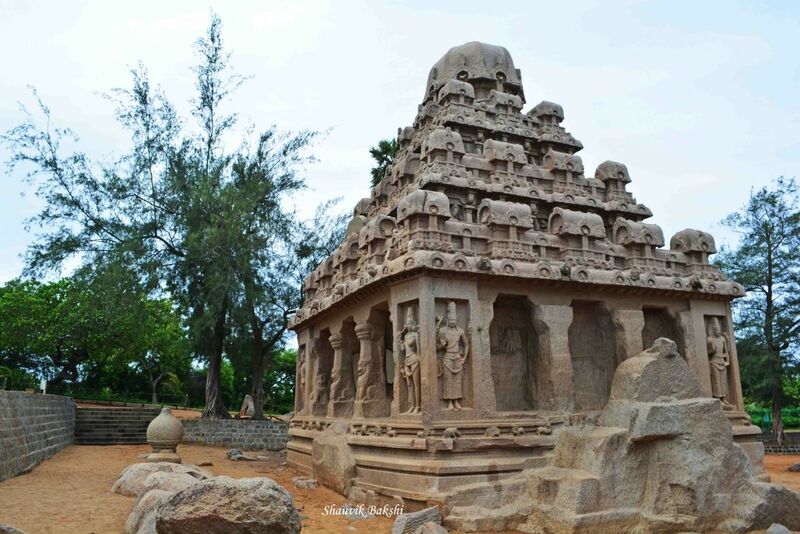 Pancha Rathas or Five Rathas as the name suggests is a monument complex containing five monuments.The structures are named after the Pancha Pandavas and their common wife Draupadi, of epic Mahabharata fame. 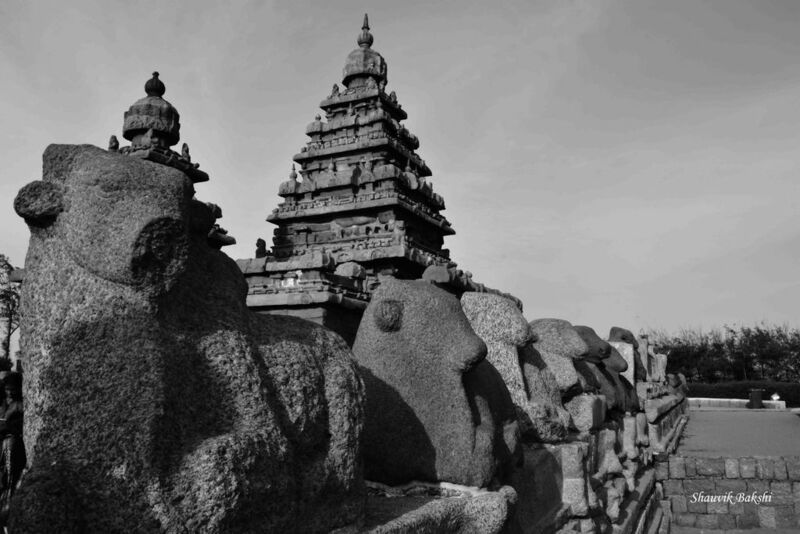 They include the Dharmaraja Ratha, Bhima Ratha, Arjuna Ratha, Nakula Sahadeva Ratha, and Draupadi Ratha. 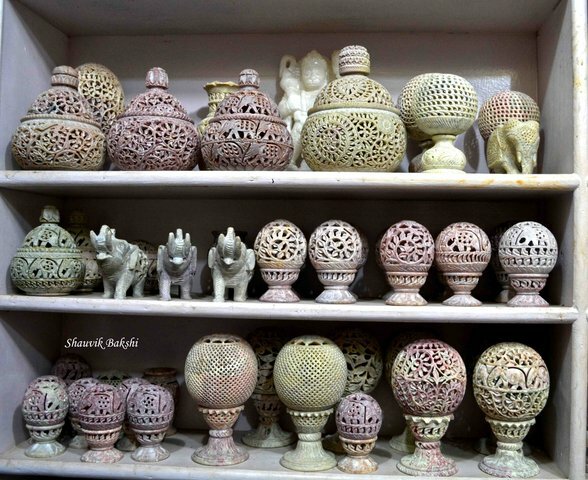 Each of these is carved from one single large piece of stone. 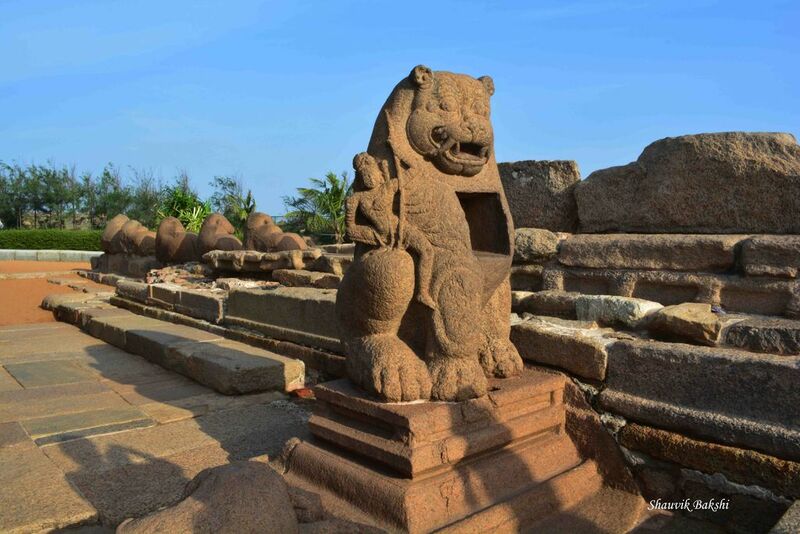 Mahishasuramardini Mandapa and the Olakkannesvara Temple. 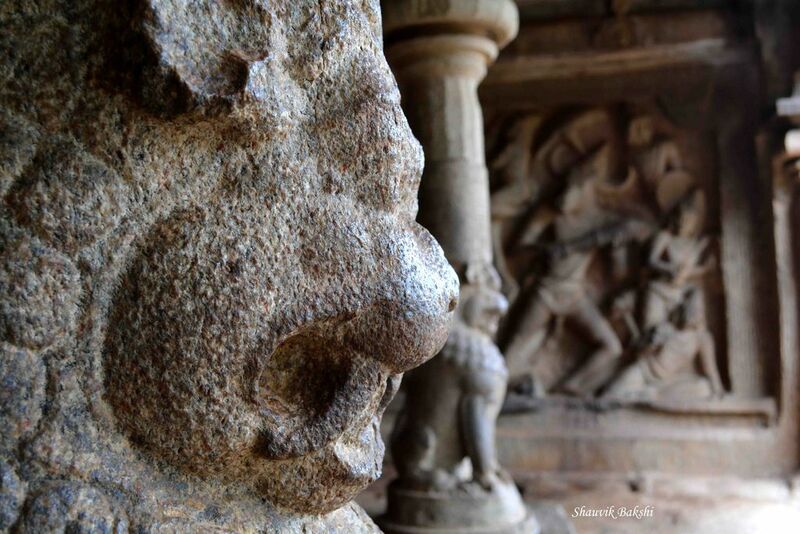 Next we went to the Mahishasuramardini Mandapa and the Olakkannesvara Temple. 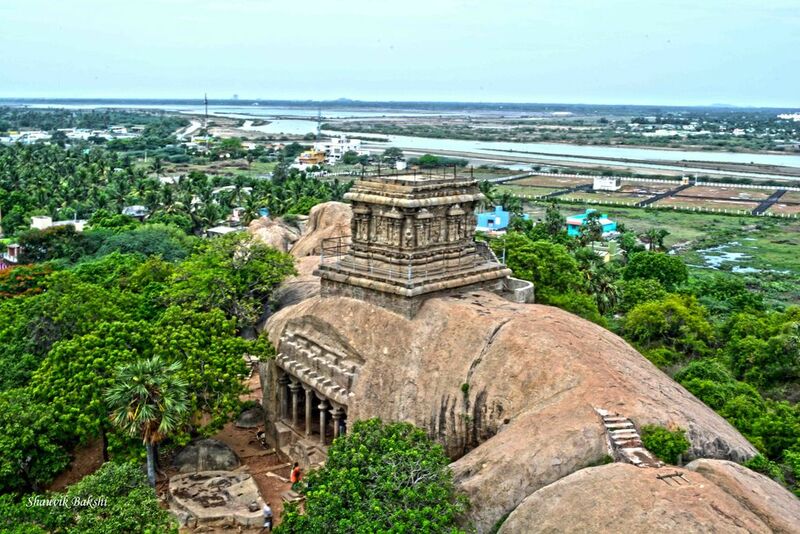 It is a rock-cut cave temple located on a hill, near a lighthouse. 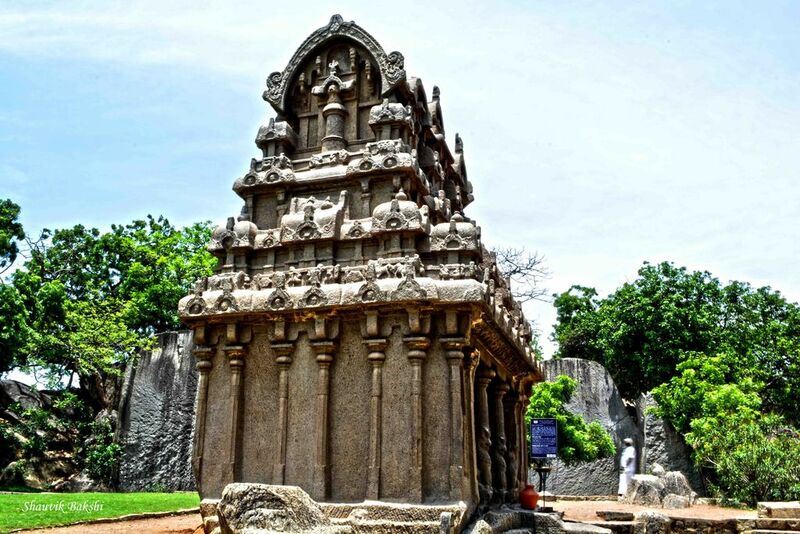 The temple is dedicated to goddess Durga who according to legend and hinduism killed the killed the demon Mahishasura, hence the title Mahishasuramardhini (conqueror of Mahisha). Mahisha means buffalo. 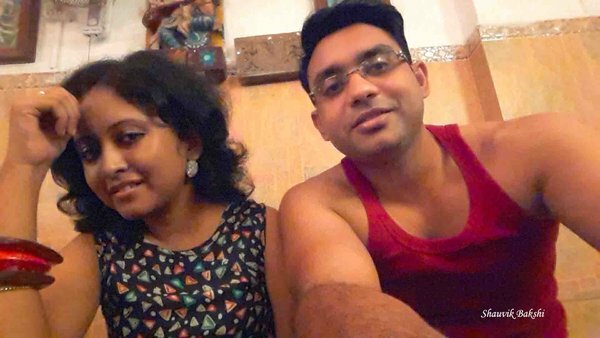 The demon Mahishasura's father Rambha was king of the asuras, and he once fell in love with Princess Mahishi, who was cursed to be a water buffalo; Mahishasura was born out of this union. He is, therefore, able to change between human and buffalo form at will. 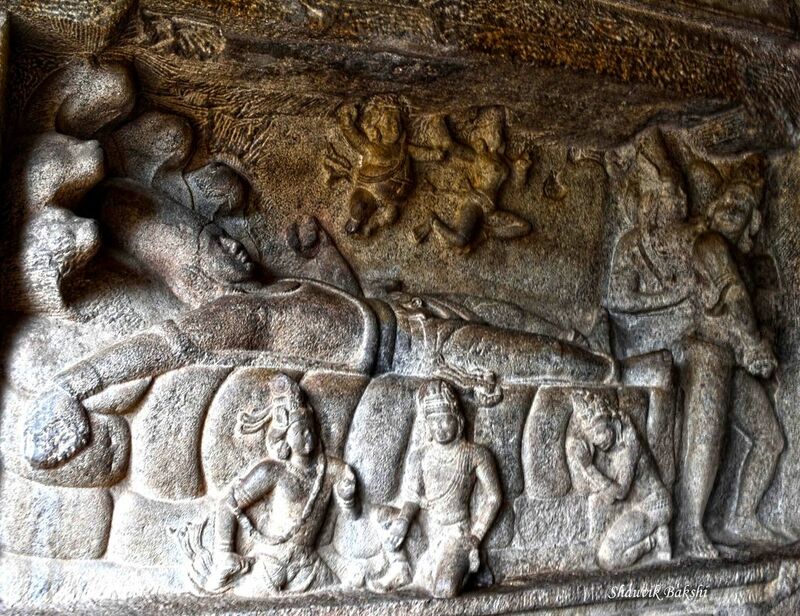 The cave's interior relief depicts this battle. The goddess is shown riding a lion, her several arms holding a bow and arrow, pursuing the retreating Mahisha with his followers. 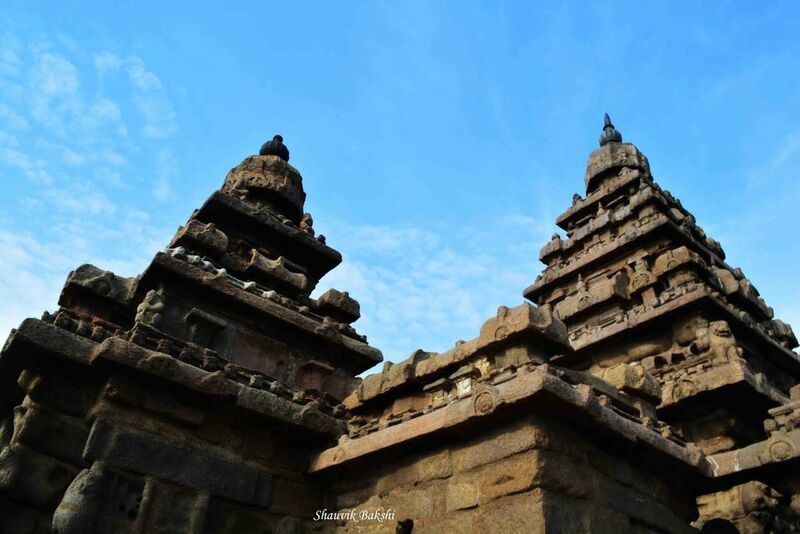 Olakkannesvara Temple is a structural temple built in the 8th century, it is situated directly above the Mahishasuramardini mandapa on a hillock which provides scenic views of the town. 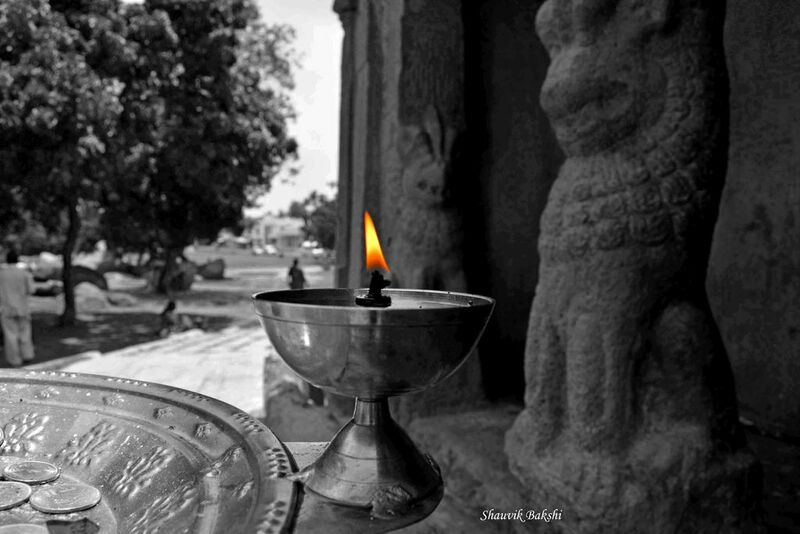 It is dedicated to an incarnation of Shiva. 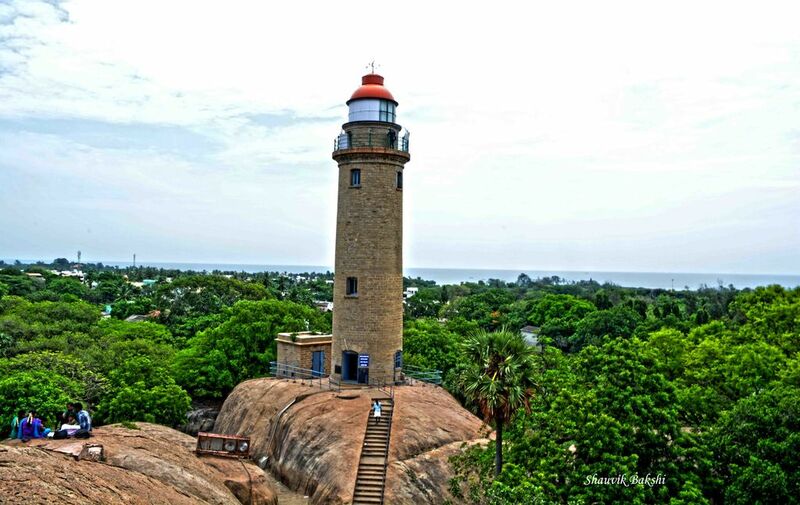 There is a lighthouse at this site which was built in 1894 which overlooks the Coromandel Coast of the Bay of Bengal. Climbed it and the view from the top is just awesome. Came down and visited a nearby shop to buy some mementos for home. 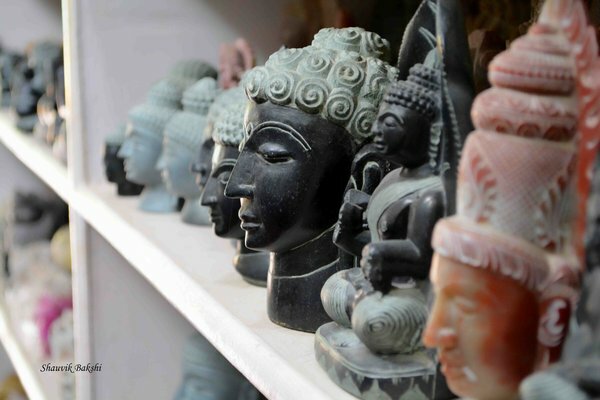 After few heavy thoughtful minutes in dilemma( All the stone cutting mementos looked wonderful and like most good things in life they were not cheap), settled down for small Stone lamps and an elephant model. Lamps At Display. We Did Buy A Similar One For Home. 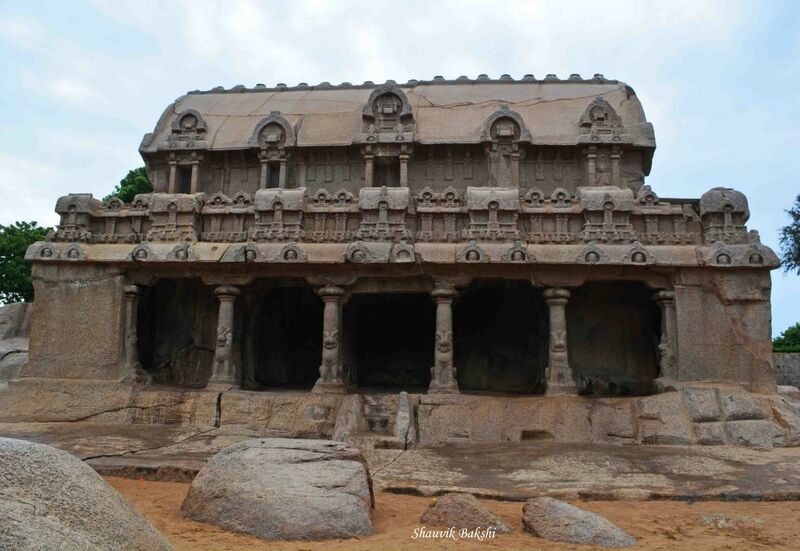 The next stop was the Mandapas or rock-cut Caves and the Kirshna Butter Ball. 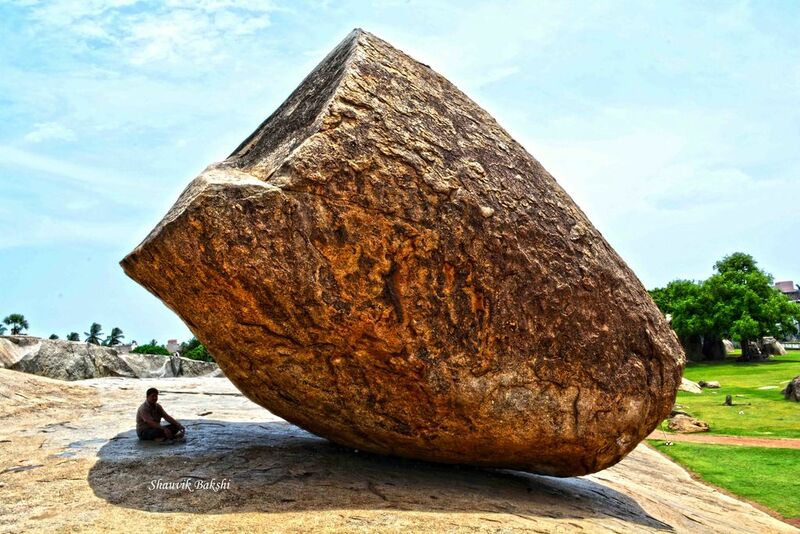 Kirshna Butter Ball is situated on a hill slope near the Ganesh Ratha is a massive natural rock boulder in a shape of huge ball, precariously balancing on a smooth slope. 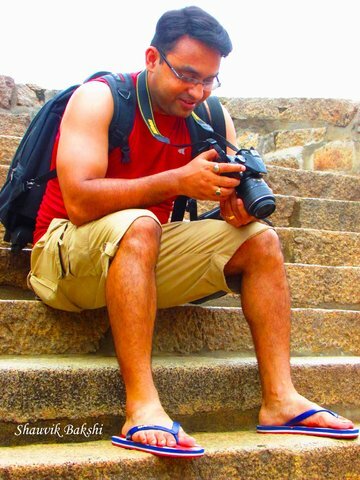 It is a common tourist attraction where many are found to pose resting their arms on the rock and get clicked. 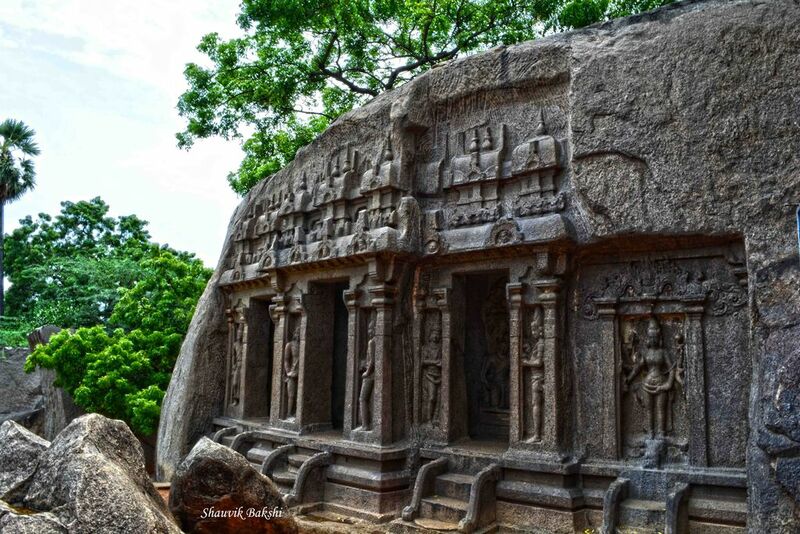 Mandapas or rock-cut Caves are sanctuaries or temples covered with bas-reliefs. 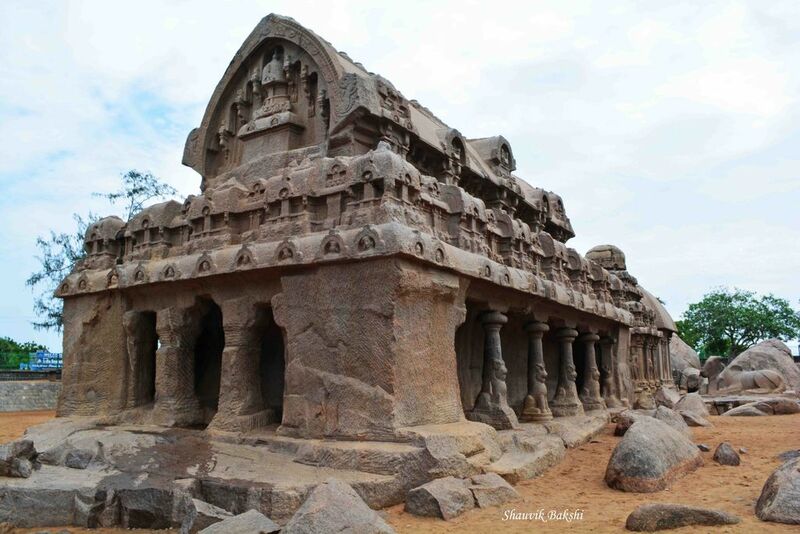 Of the eleven mandapas or caves seen in Mahabalipuram, the most notable are the Varaha Cave Temple, Krishna Cave Temple, Panchapandava Cave Temple, and the Mahishasuramardini mandapa.Many of the caves of the Pallava period have remained incomplete. Another Temple. Do not Remember The Name. 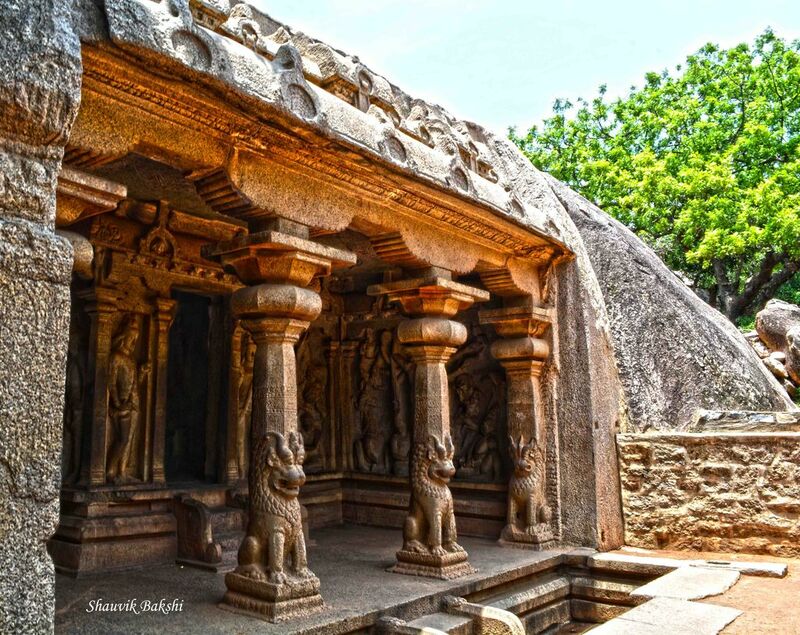 Varaha Cave Temple is a rock-cut cave temple. 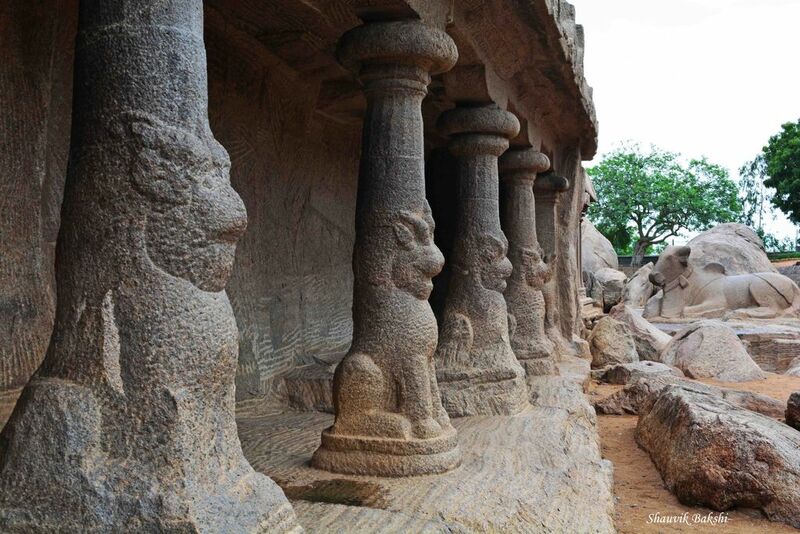 The cave reflects a transitional style of architecture in its columns mounted on seated lions and frescoes carved on the walls inside the cave which evolved during the rule of Pallava kings Mahendra Varman I and Rajasimha or Narasimhavarman I known as Mamalla. 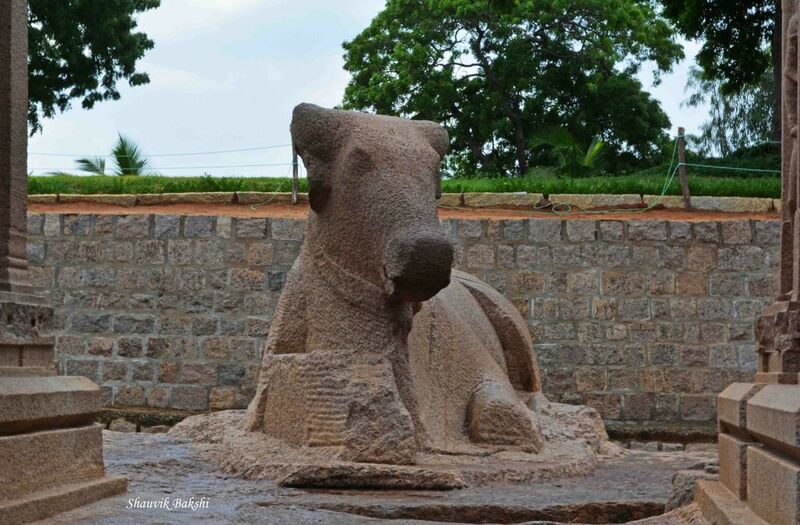 This style was continued by Mamalla's son Parameshvaravarman I. 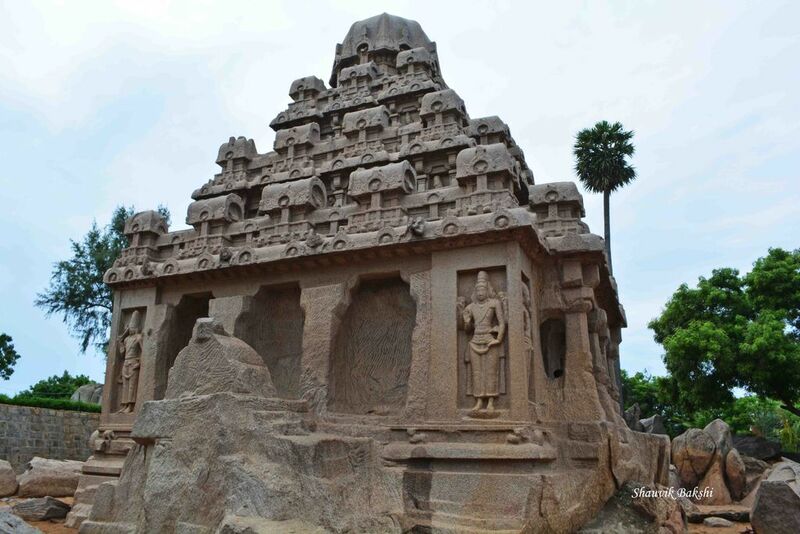 Historical research has also confirmed that Mahabalipuram town came to be established only after it was named after Mamalla and the caves and rathas are all attributed to his reign during the year 650 AD. 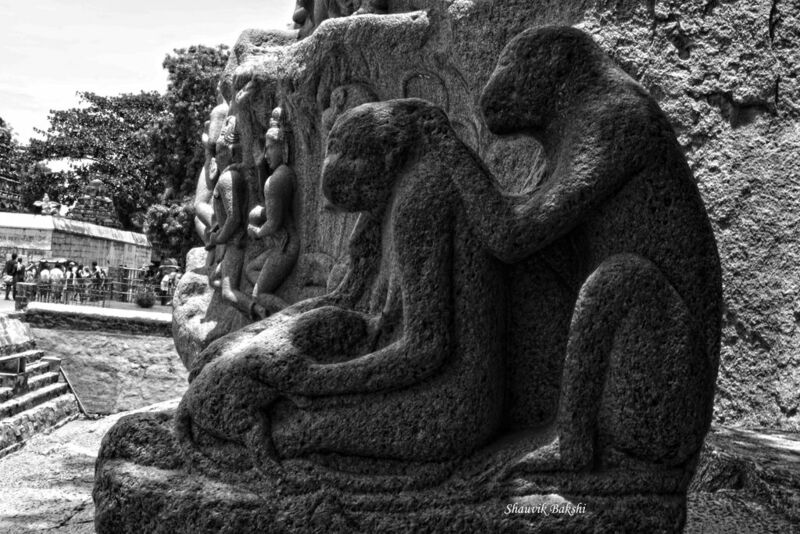 It is the earliest known monument in Mahabalipuram though not the most visited due its hidden location. 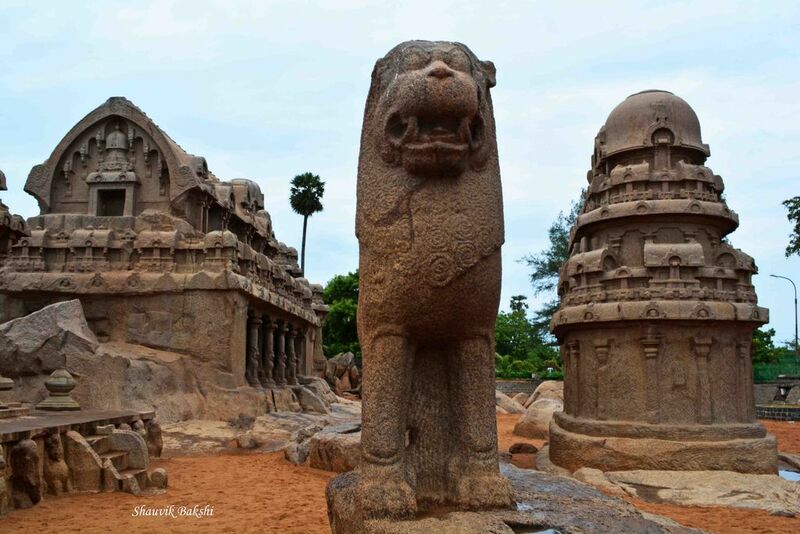 The distinctive feature of the Pallava style is that the frontage of the cave has, without exception, finely carved columns mounted on lions in a sitting posture. Arjuna's Penance is a famous rock relief or bas-relief work. 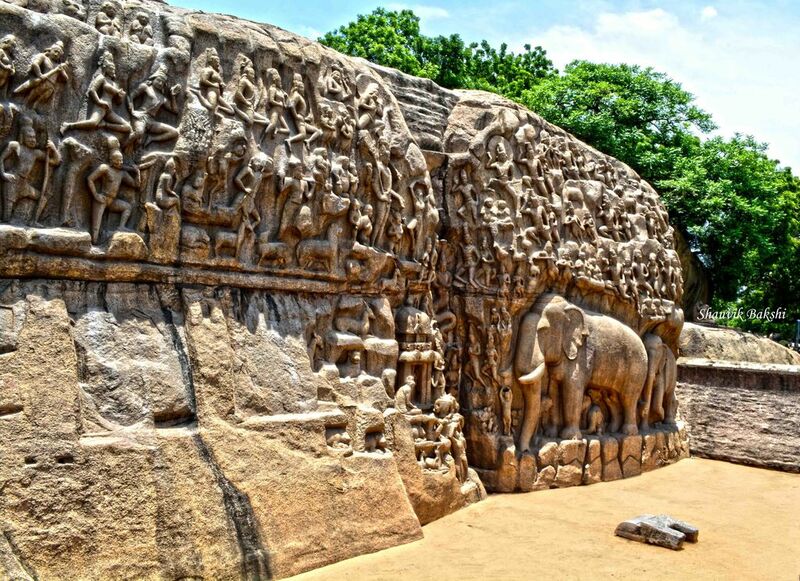 It is also reported as the largest bas-relief work in the world.This bas-relief is carved on two huge boulders of 27 metres (89 ft) length and 9 metres (30 ft) height with depictions from mythological episodes of hinduism. It was already 12 p.m. and we headed back to our hotel. Then had an awesome lunch at a nearby restaurant. Went for an afternoon stroll on the beach. 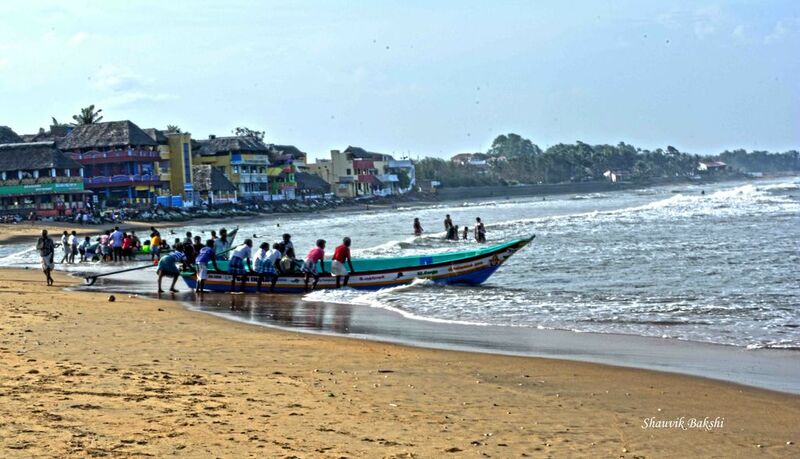 It was beautiful out there, surfers surfing, boat rides , some were just walking down the beach, few gathered up at various places enjoying a chit chat. 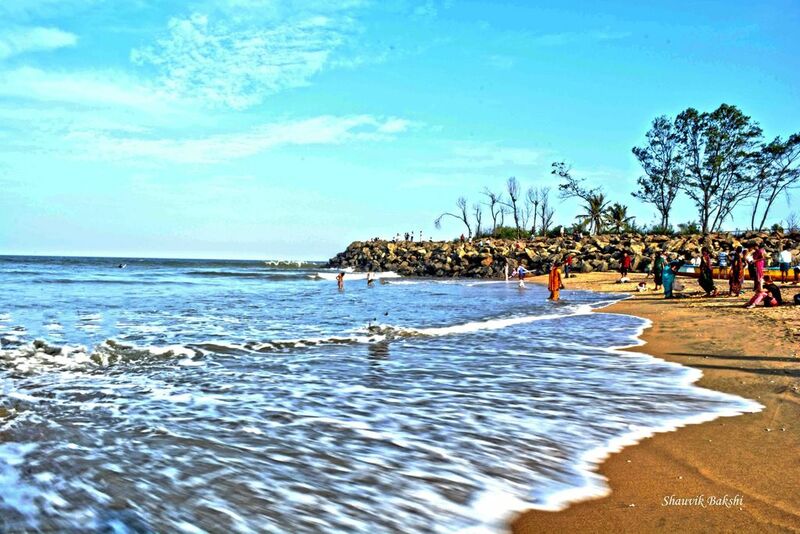 We were moving down the beach, clicking pictures when heard a sound “BOOO”. 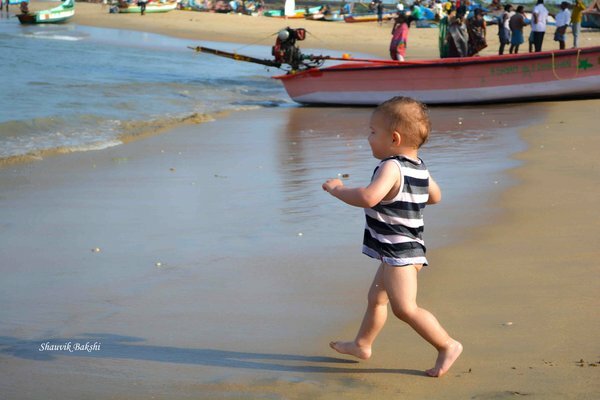 It was little kid who would chase the waves making that sound. Stopped there a bit to watch the fun and then incidentally got introduced to his parents. A lovely french family and they have named him Ganapati, he could barely talk but had smiley face and jovial nature with huge curiosity towards our cameras and obviously brave enough to chase the waves whenever he felt it right. Well that was fun. 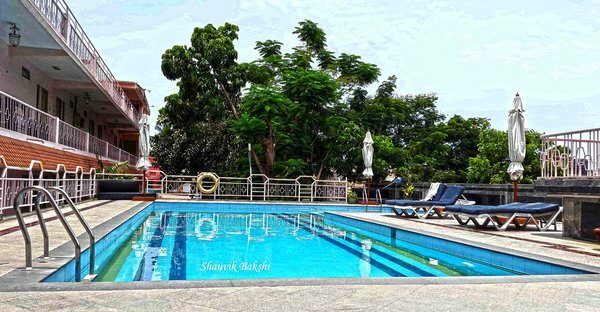 After an hour or so of strolling around the beach we returned back to our hotel and went straight for the pool, which by then has become the common hub of the entire hotel. The evening was again beautiful and we even discovered an awesome roof top restaurant for our dinner. What hotel were you staying at? 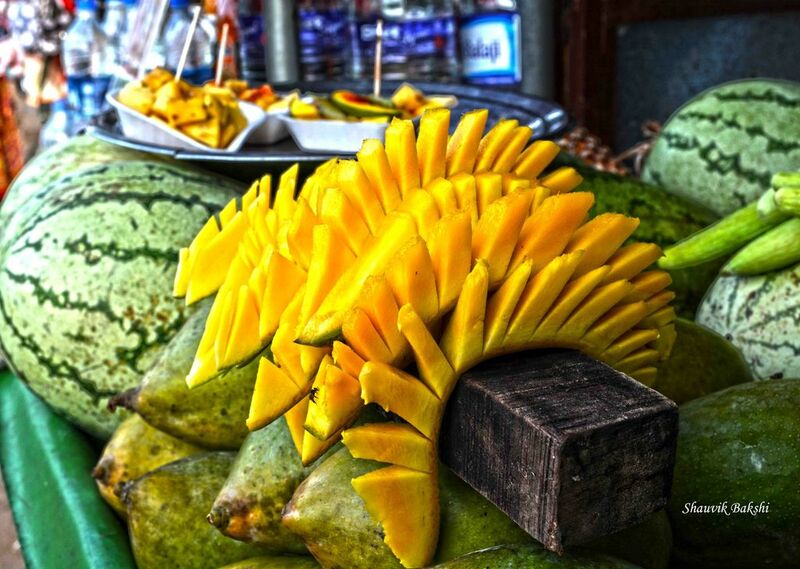 The food looks delicious! None of the food pictured here are from the hotel that I stayed in. They are from separate restaurants, but the hotel was great as well. If the Mods are okay, I can definitely type the name of the Hotel and the restaurants. It's perfectly OK to give your own opinions of a lodge or restaurant. "We stayed at XYZ lodge and it was a real dump with lousy service." "We had dinner at ABC restaurant. 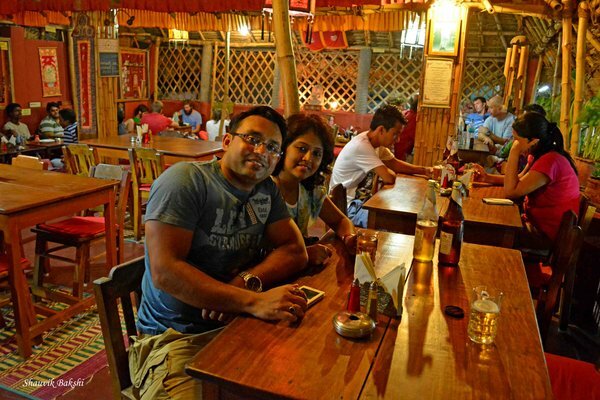 The food was delicious and the service was prompt and courteous." Thanks for the comment about my blog. I need to do some updates soon. Good then. I stayed in Mamalla Heritage. The food was good and so was their service. Nice and clean rooms and bathroom. The pool was definitely great. Over all had quite a pleasant stay in there. 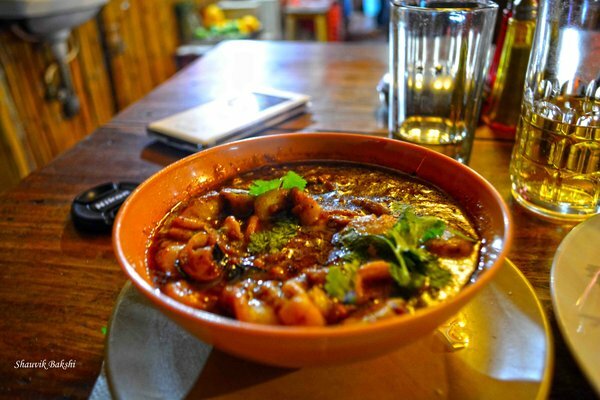 Now the first Calamary picture is from The Moon Rakers restaurant. Great food. 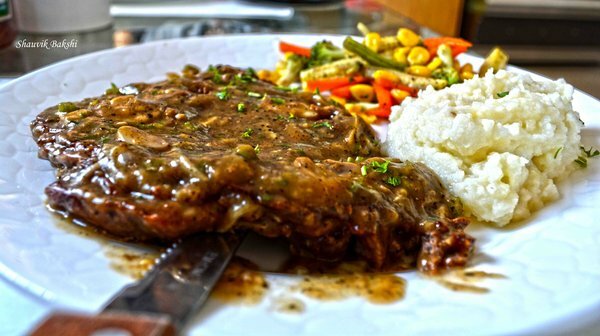 The Steak is from a restaurant called The Burger Shack. This also provides bed and breakfast facility. Very close to our hotel. Just a few buildings apart. Food was great and nice clean restaurant. The third calamary is from Le Yogi. This is an wonderful roof top restaurant with a great ambience and definitely awesome food. This is located on the opposite sidewalk of Moon Rakers, just a few buildings down the road that takes you to the beach. Great. Thanks for the details. I will check them out on my next visit to Mpm.